Congratulations! You have dreamed of your wedding day since you were a little girl and hoped it would be a special day. 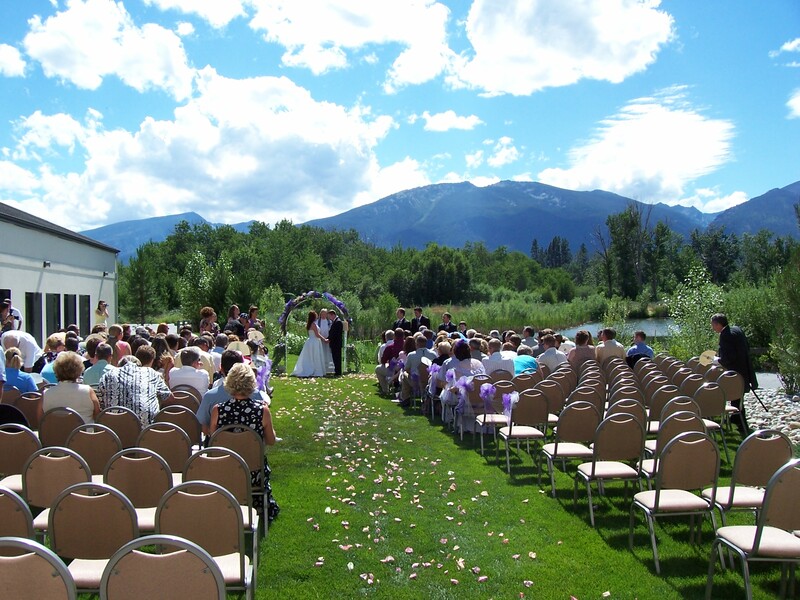 The Bitterroot River Inn and Conference Center can help you make your dream come true. A wedding is a very special occasion, and our staff is dedicated and honored to assist you with every detail – from our beautiful guest rooms to the wedding and reception area. We hope the enclosed information will help make it easier in planning your special day. Tammany, Montana & Sapphire Rooms, Pond & Patio area. Tables for food, cake, gifts, brides book, DJ and head table. 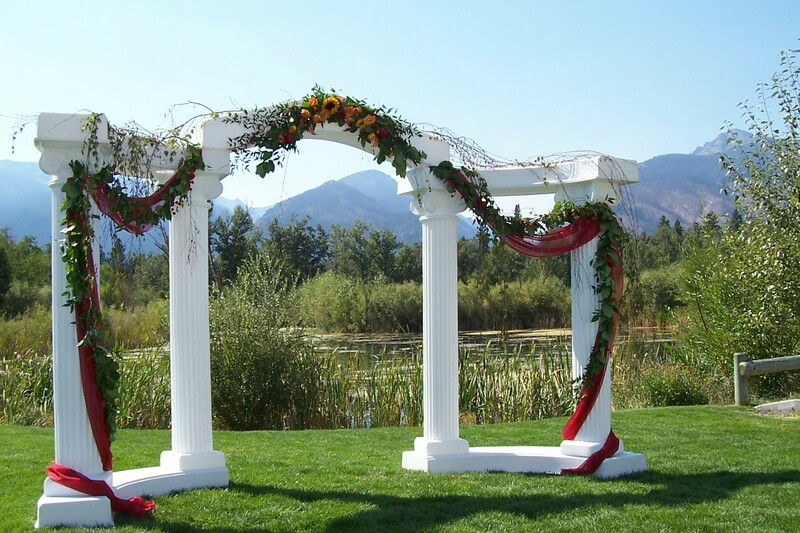 Events are based on a 2- day rental ­ the day before to decorate and the actual event day. 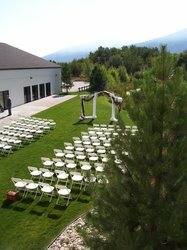 The day before your event is set aside strictly for you and your wedding party to decorate and to have the wedding rehearsal, if you are having your ceremony on the lawn. We require that all events wind down prior to midnight. Decorations must be removed from the event area at the conclusion of the event unless prior arrangements have been made with the ballroom staff. 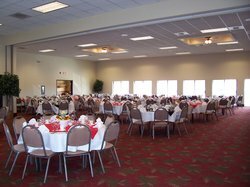 To make sure that we hold your space on a definite basis for your event a 50% deposit is required. This deposit is non-refundable should you cancel the event. The remainder of the rental fee is due 2 days prior to the event. Hire someone to bus tables during dinner, as your guests don¹t always clean up after themselves. In fact, you should have someone busing tables during the entire event as drink cups also begin to accumulate. You want to be able to enjoy the festivities and relax and many times family members and friends are nowhere to be found when it comes to clean-up time. 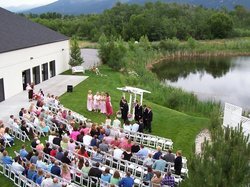 The Bitterroot River Inn and Conference Center does allow you to provide your own alcoholic beverage service but reserves the right to close down the service at its discretion. The Bitterroot River Inn & Conference Center is not liable for any incident or accident due to the serving of alcohol. You are required to comply fully with all state laws. If you plan to sell alcoholic beverages, you must obtain a license from the city. It is strongly suggested that you hire a licensed caterer or bar that has a traveling license. The bar must cease all beverage service at 11PM. All alcohol must be removed from the ballroom area at the conclusion of the event unless you have made prior arrangements with the ballroom staff. Only painter's tape on the walls. If you are using candles, you must protect our linens and carpet from wax damage. It is preferred that you do not use colored paper napkins as when they get wet they bleed and stain the linens. If you are hanging lights from the ceiling, you must take care to not damage the ceiling tiles, and any debris that falls from the tiles (white dust) it is your responsibility to clean up. The hotel does have a tall ladder that is available for use. If you are in doubt about decorations please ask, as the hotel reserves the right to restrict any decorations that may be unsafe or cause damage to the hotel. 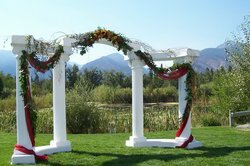 The wedding party is responsible for the removal of their decorations at the conclusion of the event unless prior arrangements have been made. All alcohol must be removed from the property unless prior arrangements have been made. The kitchen must be clean and tidy at the conclusion of the event and no food can be left out in either the kitchen or ballroom area. Food may be stored overnight in the refrigerator if prior arrangements have been made. Often times we have an event the following morning. We offer group blocks for overnight accommodations. 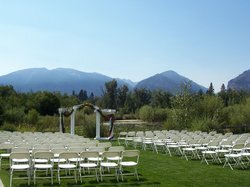 The Bitterroot River Inn and Conference Center offers several options that will make your wedding a spectacular event. 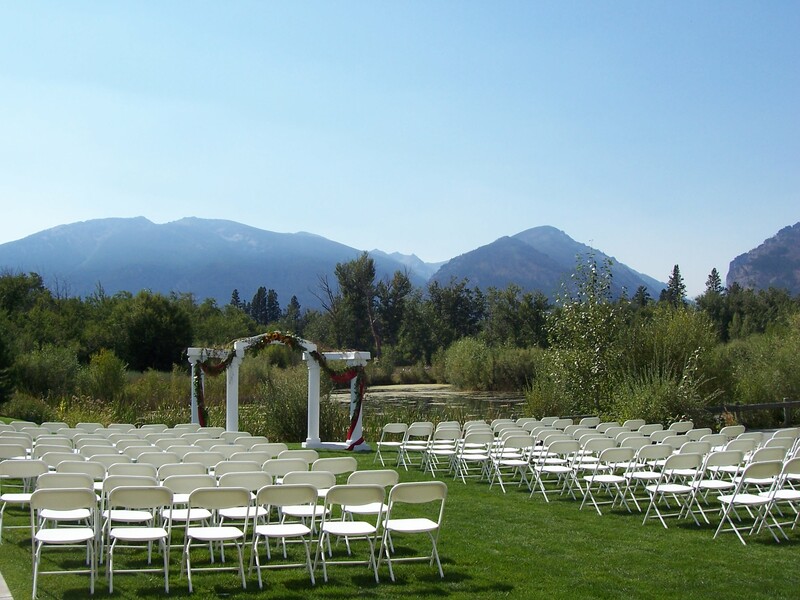 Have your wedding on our pond lawn with the magnificent Bitterroot Mountains in the background. 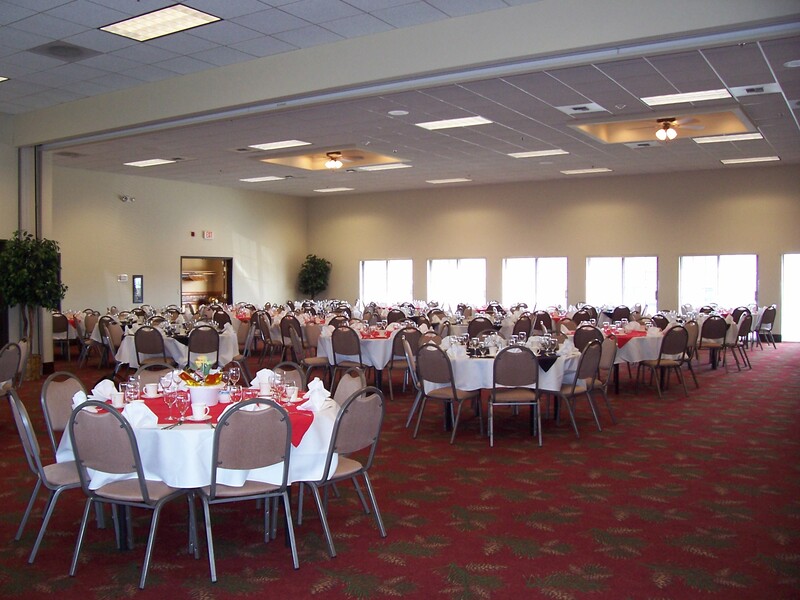 Our Grand Ballroom can be transformed into your dream location for your reception. 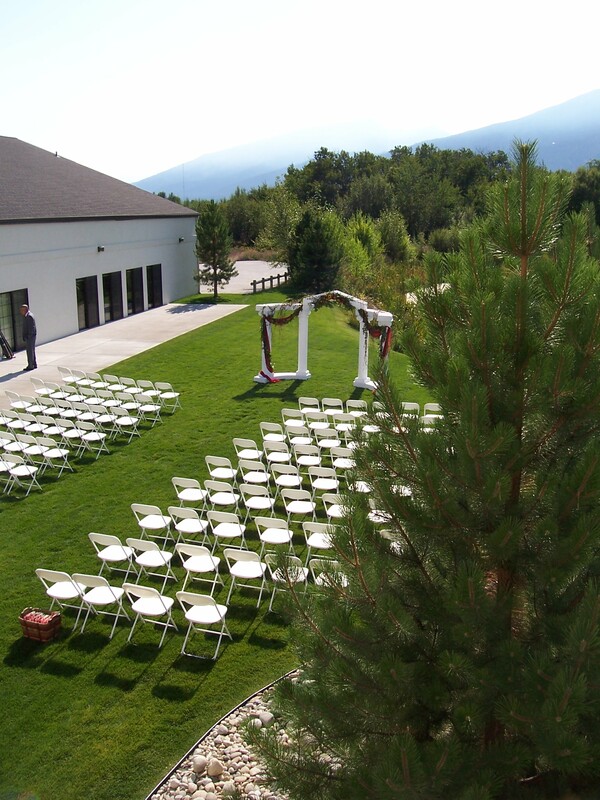 Wow your guests with a wedding location that provides the perfect atmosphere for your special day! Don't forget that your guests will need a place to stay - we offer group rates for your out-of-town guests. We have a gorgeous honeymoon suite for your special night. Don't forget the rehearsal dinner, brides maid luncheon, and bridal shower. You have dreamed of your wedding day since you were a little girl and hoped it would be a special day. 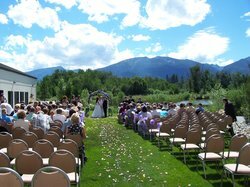 The Bitterroot River Inn and Conference Center can help you make your dream come true. A wedding is a very special occasion, and our staff is dedicated and honored to assist you with every detail – from our beautiful guest rooms to the wedding and reception area. Large group? Small seminar? Banquet or special event? Our Conference Center facility features the latest in presentation support, with computer and modem hook-ups, and a copier and fax machine for your convenience. The Hotel is glad to extend a special rate for overnight accommodations for your guests. The bride and groom will receive complimentary deluxe suite accommodations on the wedding night if ten room nights are accumulated.